NO. 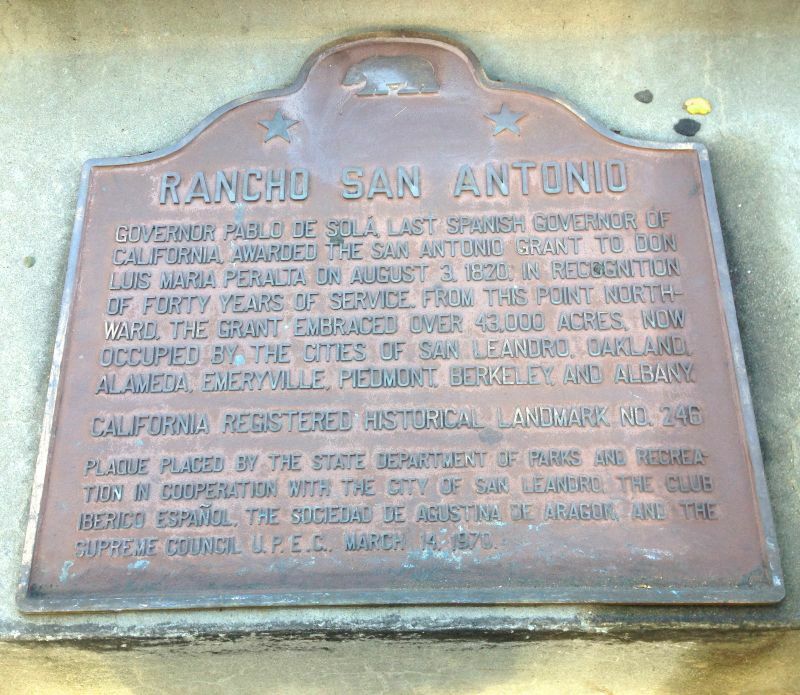 246 RANCHO SAN ANTONIO (PERALTA GRANT) - Governor Pablo de Sola, last Spanish governor of California, recognized the forty years' service of Don Luís María Peralta by awarding him the 43,000-acre San Antonio Grant on August 3, 1820. 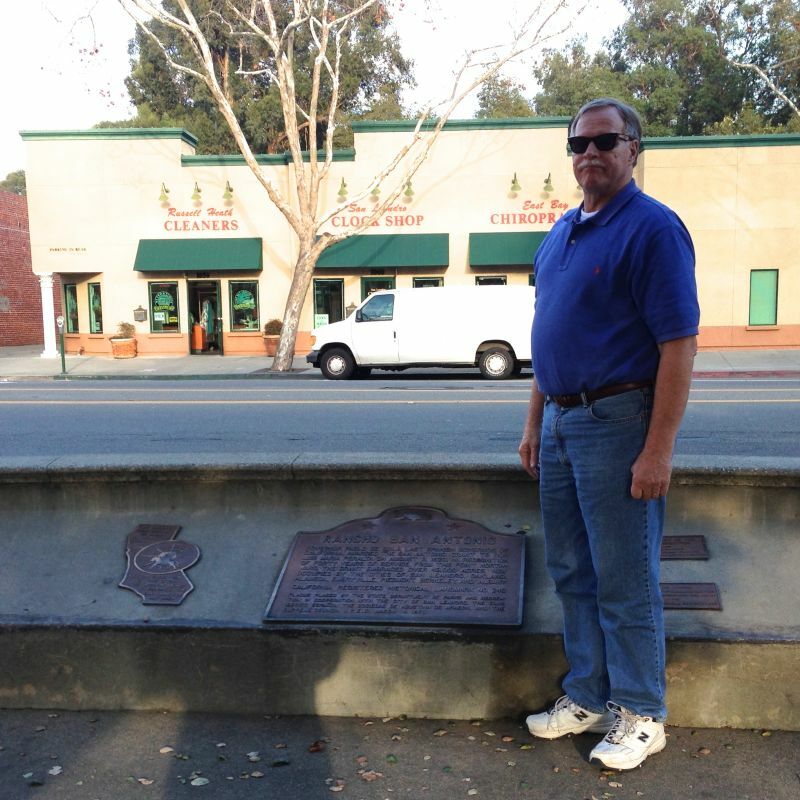 From this point northward, the grant embraced the sites of the cities of San Leandro, Oakland, Alameda, Emeryville, Piedmont, Berkeley, and Albany.